The Chartered Institute of Transport and Logistics (CILT) is the most respected and widely accepted chartered professional body in the international transport and logistics sector. Established in 1919, CILT in the UK is a part of the CILT international family with over 33,000 members in countries across the world. 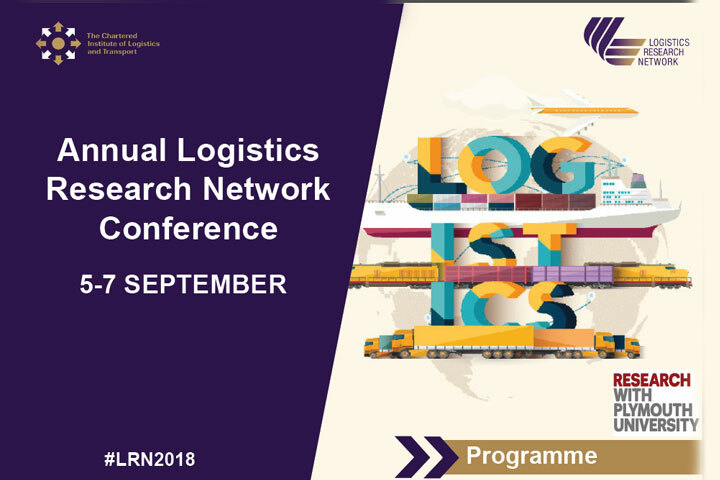 The Chartered Institute of Transport and Logistics (CILT), United Kingdom successfully conducted the “23rd Annual Logistics Research Network Conference”, on 05th to 07th September 2018, in Plymouth University, United Kingdom. 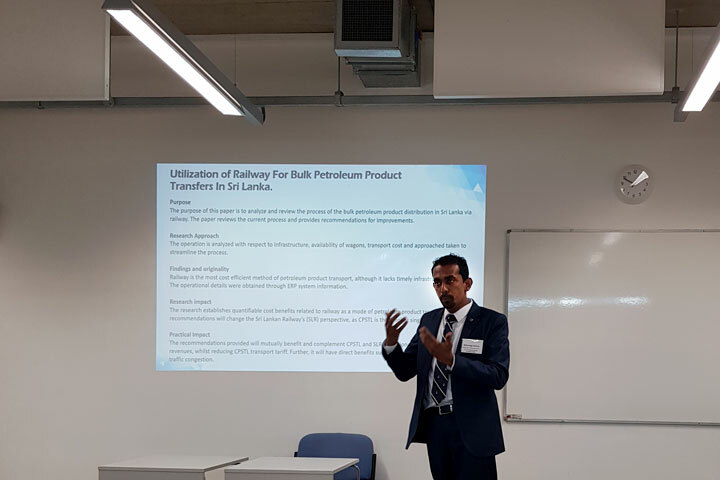 The research paper titled “Utilization of railway for bulk petroleum product transfers in Sri Lanka.”; co-authored by Mr. Janak Dharmaprema – Acting Chief Information Officer, CPSTL and Varuna Gunasekara - Senior Software Engineer, CPSTL was accepted to be showcased in the above conference. 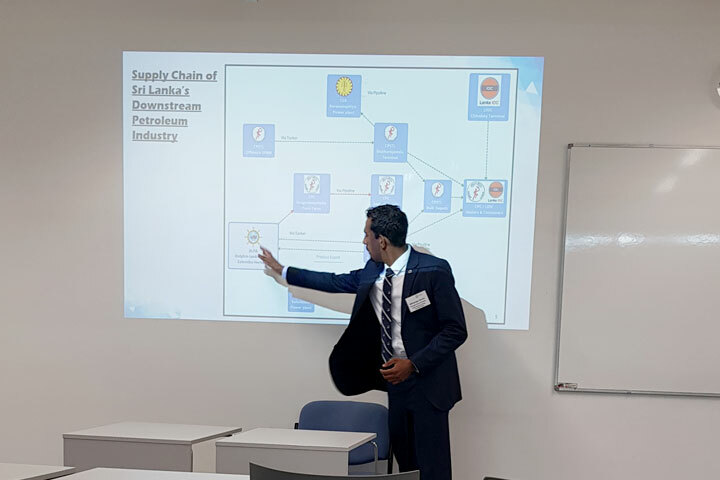 Presentation on this regard was made on 07th September 2018, during the conference session titles “Oil and Gas Supply Chain”. This is the first time, where a research conducted by CPSTL was showcased in an international conference of this nature. 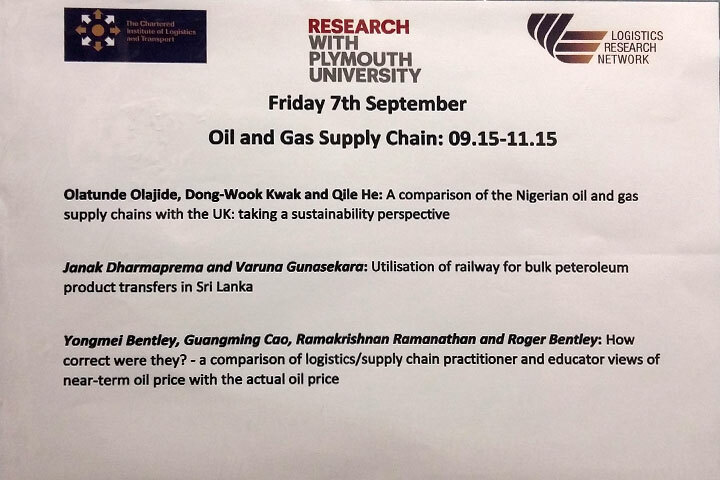 It is a great achievement by CPSTL to contribute their knowledge and experience towards international research on logistics and transport. 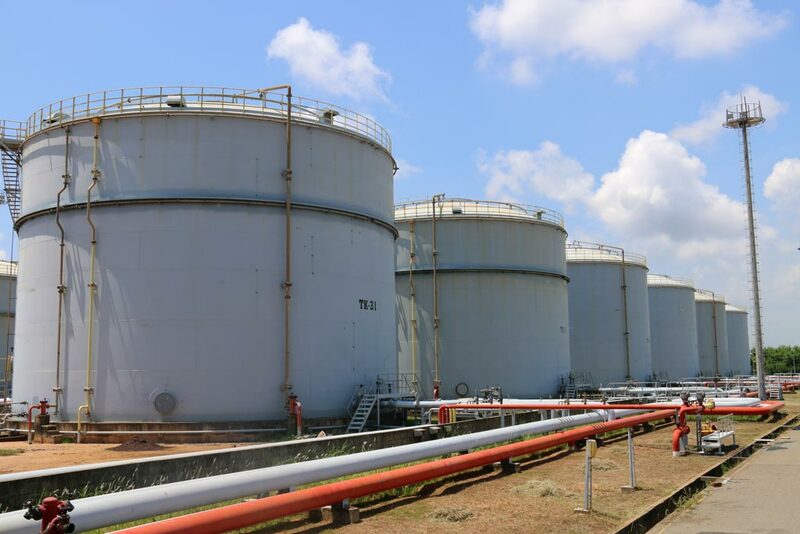 CPSTL is the biggest entity performing the country’s biggest logistical operation which facilitates every other Sri Lankan industry.